Why would Michael Phelps have one wedding when he could have two? Update, Oct. 31, 11:30 a.m.: Michael Phelps and Nicole Johnson are now double married. After tricking everyone and getting secretly married back in June, they had a second (and far more public) ceremony Saturday in Cabo San Lucas, Mexico. And lord, was their second wedding gorgeous. Johnson’s dress designer dished to People magazine about working with the former Miss California to get all the details right for the perfect gown. Johnson shared photos of the dress on her Instagram, and it is stunning. If I could wear a dress like that, I’d have as many weddings as possible. 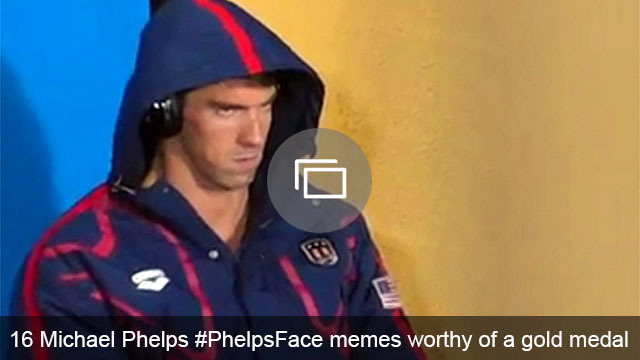 Michael Phelps just pulled a serious fast one. Back when he was in Rio at the Olympics, Phelps talked about the wedding he and his fiancée, former Miss California Nicole Johnson, were planning. Now, news has come out that Phelps and Johnson actually exchanged vows in Arizona back in June, months before the Olympics. TMZ reports that Phelps’ agent, Peter Carlisle, was the officiant, and the couple’s 6-month-old son, Boomer, was part of the ceremony as well. No one can really blame him for wanting to keep it under wraps. For a celeb who wants a small, intimate, private ceremony, the pressure of being in the spotlight all the time must get annoying. And with the Olympics this year, Phelps was definitely in the spotlight. People should definitely look past this little bit of deceit, and instead be happy for the couple. After all, Phelps has been gushing about his now-wife for years.